What a great time to be an engineer. 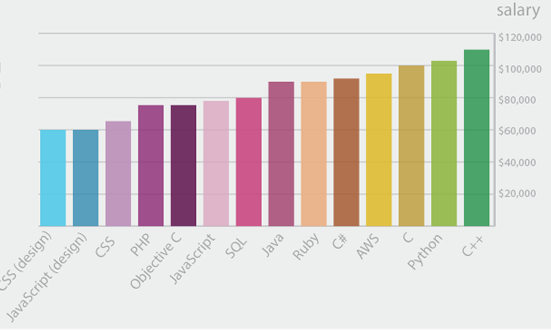 Tech is booming in a big way and anyone who can code is in very high demand. With a plethora of options, from big companies to startups, from freelance to full-time, front-end to back-end and architecture to management, the world truly is the engineer’s oyster. That statement is fairly literal, actually. A recent Silicon Valley Competitiveness and Innovation Project report showed a stunning 70% of software developers in the area are foreign born. But to make the most of your career, should you work for a big company or a small one? Move to Silicon Valley or live elsewhere? Negotiate for a larger salary or greater equity? With so many options available, how does one optimize their own career? I resonate with this dilemma. Having grown up in India, I had to choose where to locate myself. What country would give me the best opportunities? What skills would bring the best salary? What type of companies would advance my career fastest? While I’m not an engineer, these are universal questions for anyone who is motivated and ambitious -- the kind of questions that led Compass to conduct a thorough snapshot of engineer salary influences. Which skills should I learn? Should I work at a startup or a big corporation? How will my salary likely increase over time? How much equity should I ask for? How much better off would I be in one country or another? A VP Engineering makes 1.25x more salary than a CTO, but with the significant gap in the equity package - CTOs take an average of 13% ownership while VPs of Engineering average only 2%. Companies with Series B or higher funding pay the highest salaries. There is, however, little difference in salaries between bootstrapped, Seed or Series A funded companies. Developers are in high demand, but companies pay highest for strategic thinkers, such as Product managers and Architects. Mobile developers can also command high salaries. If you're located in Belarus or the Ukraine, you'll make more money working remotely than in-person locally. If you live in the US, UK, Canada or Australia, you'll make less. Hopefully, this infographic gives a clear idea of what job to go for, what salary to expect and where to work. But how do you find your dream job? We asked tech recruiters from different types of companies around the world about their most successful channel for recruiting and the answer is clear: referrals. According to Sam Altman (president of Y Combinator and previous co-founder of Loopt), most founders are not willing to spend the time it takes to source engineering candidates and convince them to come interview. 56% of engineers hired are from referral, which is 10x more successful a channel than anything else, including contingency recruiters, outbound efforts, career fair circuits or linkedin. You should still post your resume on job websites, but definitely attend that conference, go to that networking event and pump your contacts for finding the right job. One of the most exciting aspects of joining a startup is getting stock options. It gives you ownership in the company and aligns incentives between management and employees. But what is the appropriate vesting schedule for all those options that are going to be worth billions? 63% of the startups we surveyed assert the typical vesting period of 48 months, while 12% give 36 months to vest the options and 8% give only 24 months to vest the equity options. Startup life is not easy, but perks like free coffee, a personal chef, and team retreats make it look way more fun than working at corporate firms. Startups seem to have struck a balance of work hard, play hard. They often offer some of the most lavish and ridiculous perks to retain employees. Any Perk is just one of the companies that’s making it possible to bring unique perks to their customers’ employees. That said, for all the creativity being applied to the benefits space, the most frequently requested items are the simpler ones, having to do with time and lifestyle -- flexible working schedules followed by an open vacation policy, health benefits, a stocked kitchen, personalized office setup, team retreats, transportation stipend and gym memberships. Identifying the right fit is challenging for both founders and engineers, but knowledge is power. We hope these findings help you make the most of your own career. Please let us (and your fellow engineers) know if there’s anything in the data you agree with, disagree with or have more questions about.